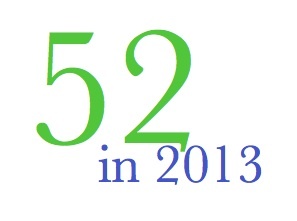 Meghan has issued a challenge: Read a book a week in 2013. Make a list. At the end of the year, see how you did. Like Meghan, I've been tracking the books I read for years, so I'm here not only to urge you to participate, but I'm also going to sell you on a few more of the benefits of obsessively tracking what you read. You see, if you list your books in Excel (or the spreadsheet manager of your choice), you can geek out with charts and graphs and numbers to get a closer look at what and how you read. Warning: Excel nerdiness to follow. But because we're friends and like-minded spirits, I trust that not only will none of you judge me for it but, in fact, many of you will share my number-crunching glee. Chart 2 totals all of the books I've read in the last four years by genre and shows that, indeed, romance tops the list, with SF/F/UF right behind. 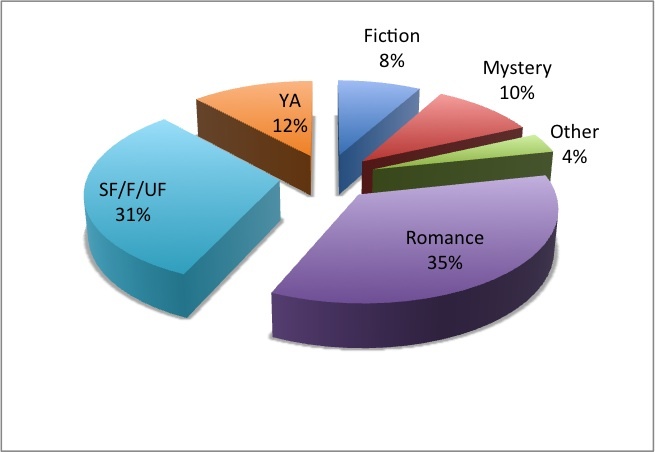 Chart 3 is a simple percentage breakdown of all the genres I've read since 2008 with no differentiation by year. 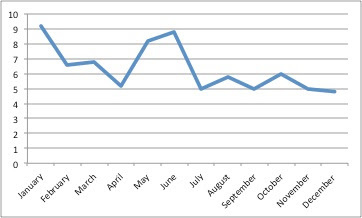 Finally, Chart 4 tracks the average number of books I read in each month for the last four years. 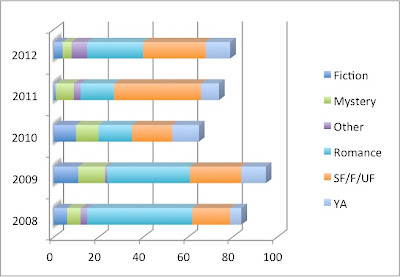 No surprises there; I'm a college professor with nice long breaks in January and over the summer. I have no idea why my reading falls off in July and August, though. Apparently, I have a big glut of reading in my initial free time in May and June, then I get down to some actual work once the laziness is out of my system. And you'll net other benefits, too. When you track the books you read, it makes it easier to make recommendations to friends wanting reading suggestions. For some reason, I always freeze up when people ask me for a book to read. Thankfully, I have comprehensive lists to consult. Also, it can be fun to look back on your past reading marathons. In August 2008, I plowed through all four of Geroge R.R. Martin's massive Song of Ice and Fire books. In January 2009, I devoured the first five Harry Desden books. 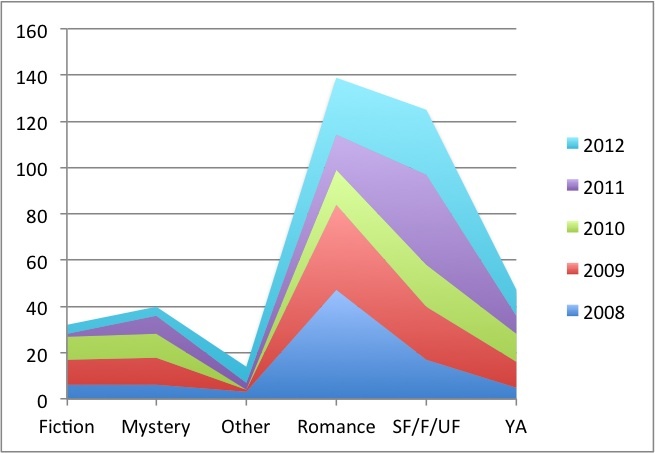 In September 2012, I glommed all of Seanan McGuire's October Daye series. Good times, people. Good times. So are you convinced yet? Will you join us in reading a ton of books this year and tracking each one?